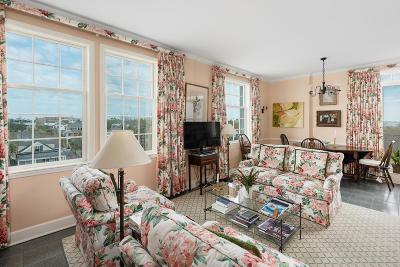 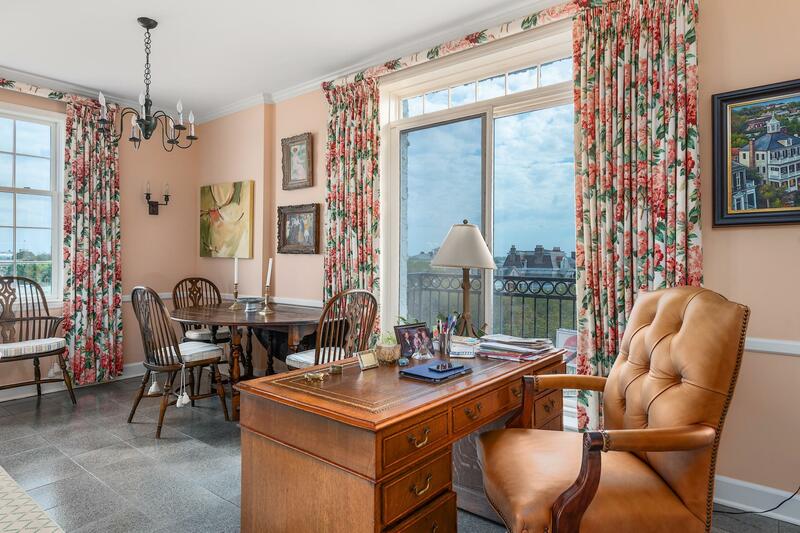 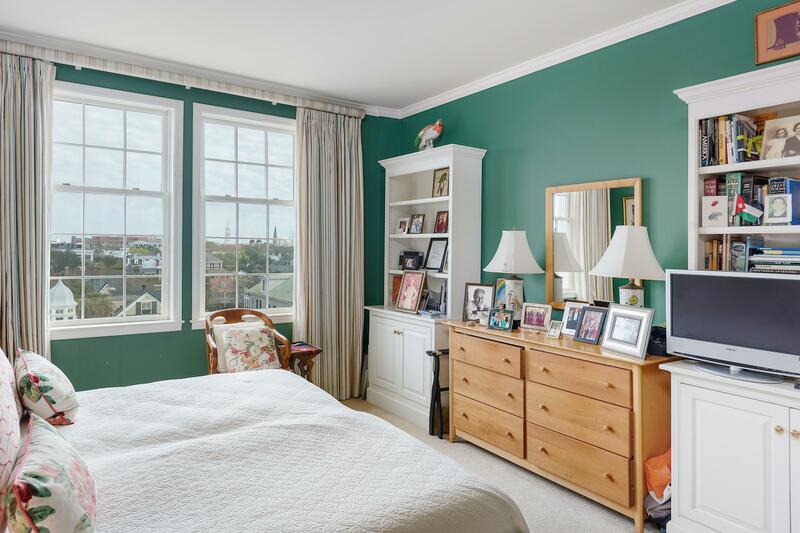 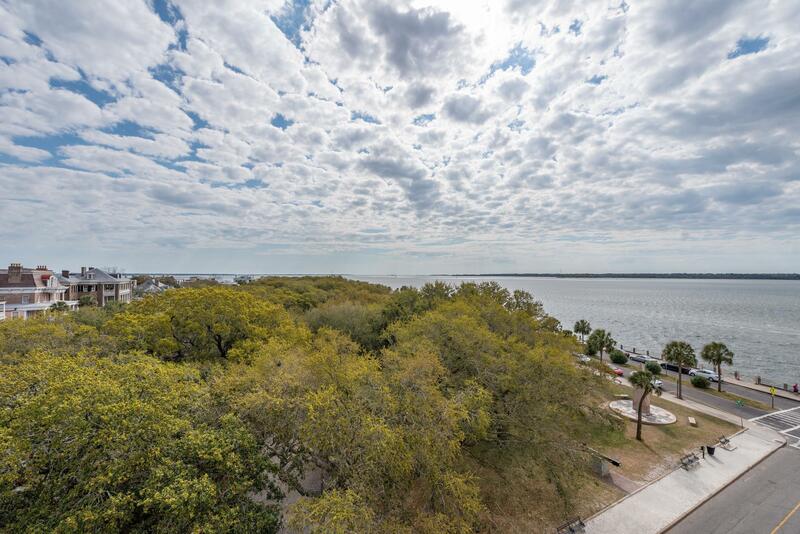 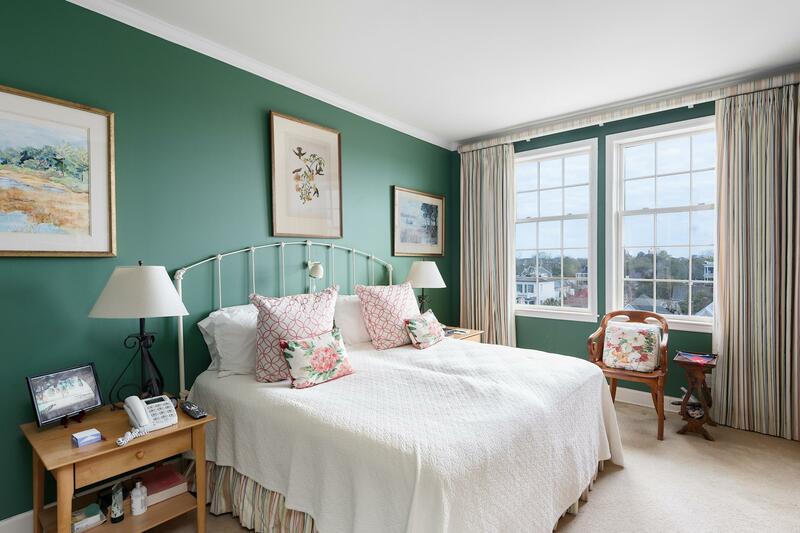 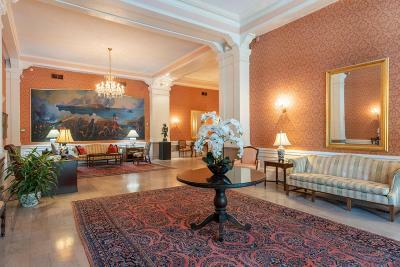 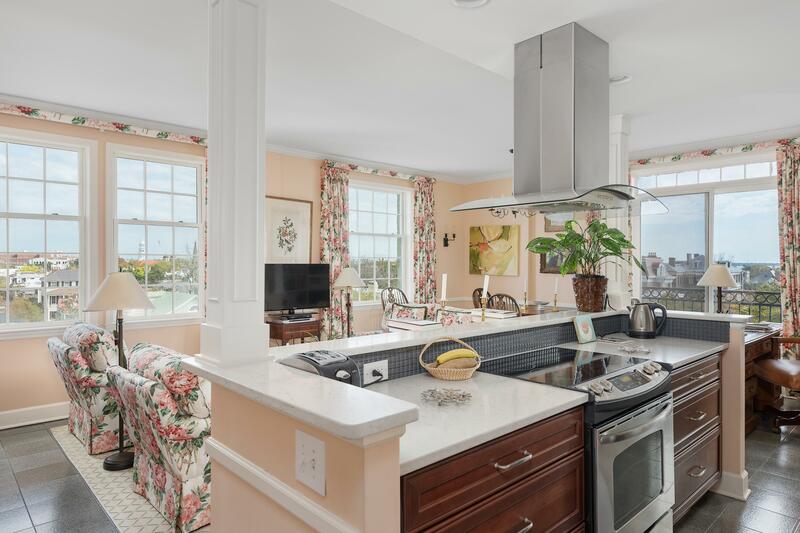 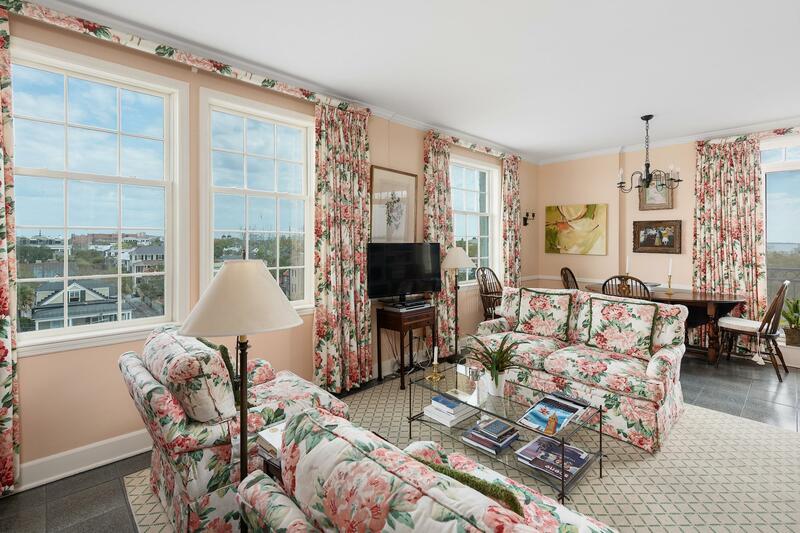 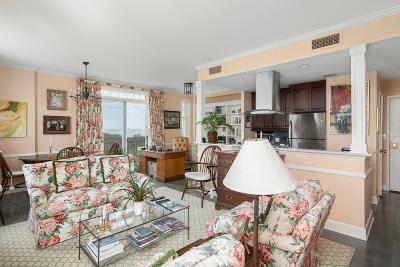 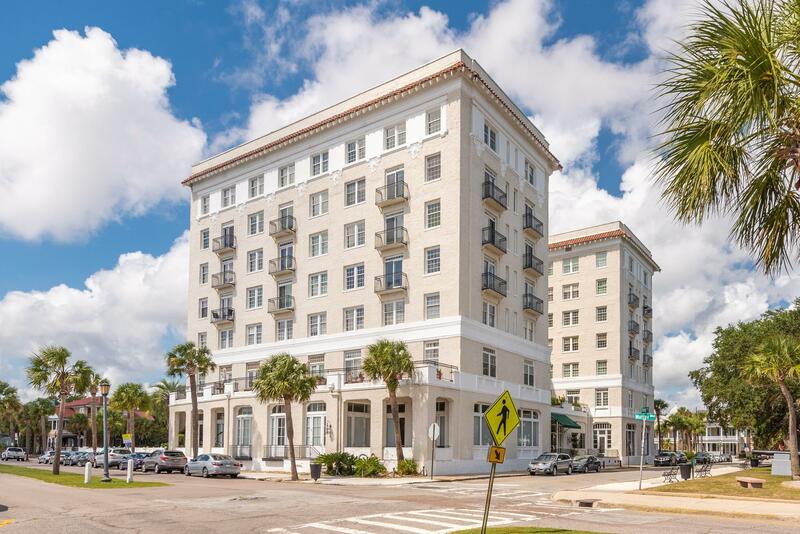 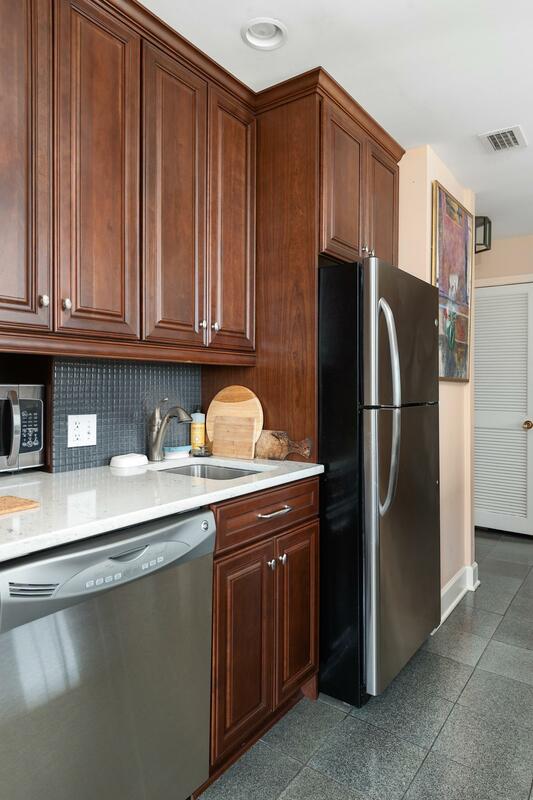 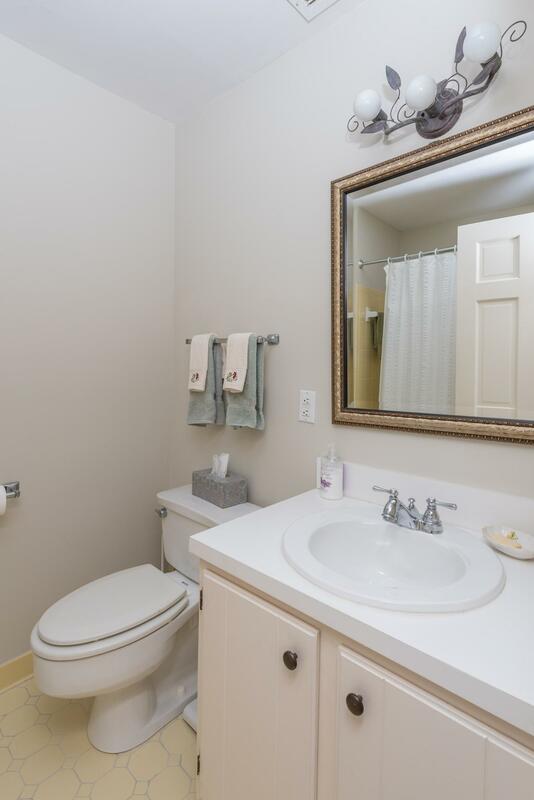 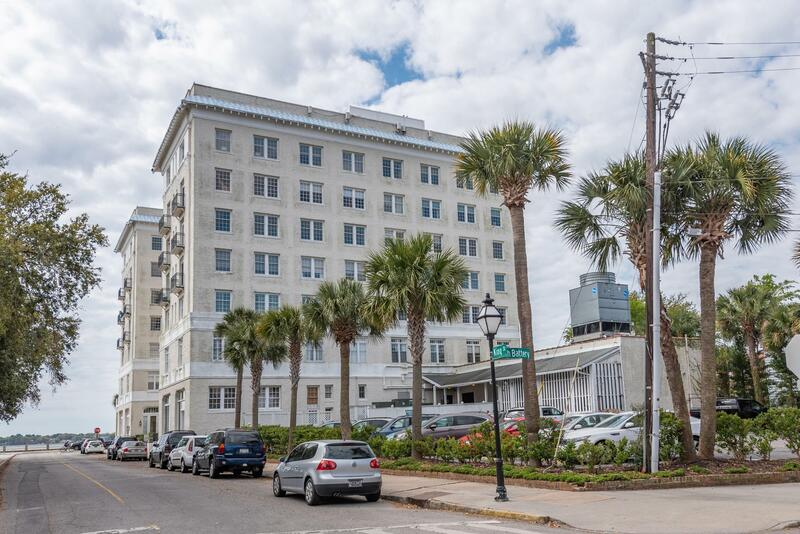 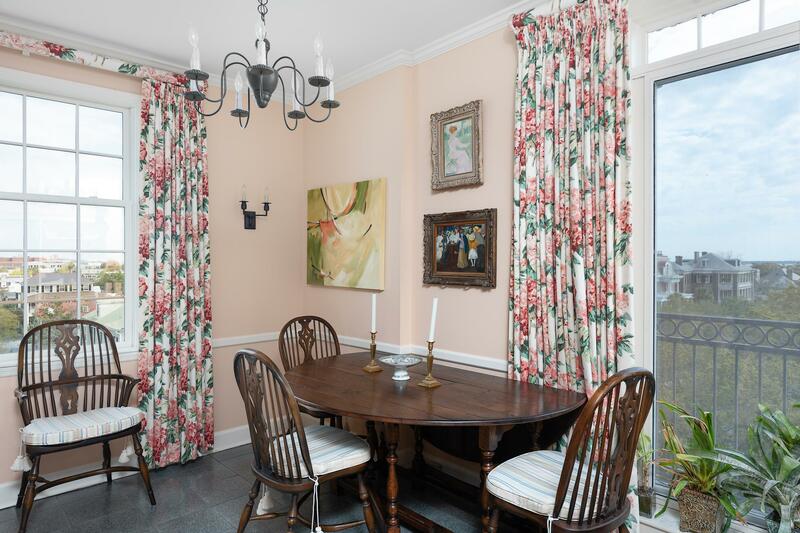 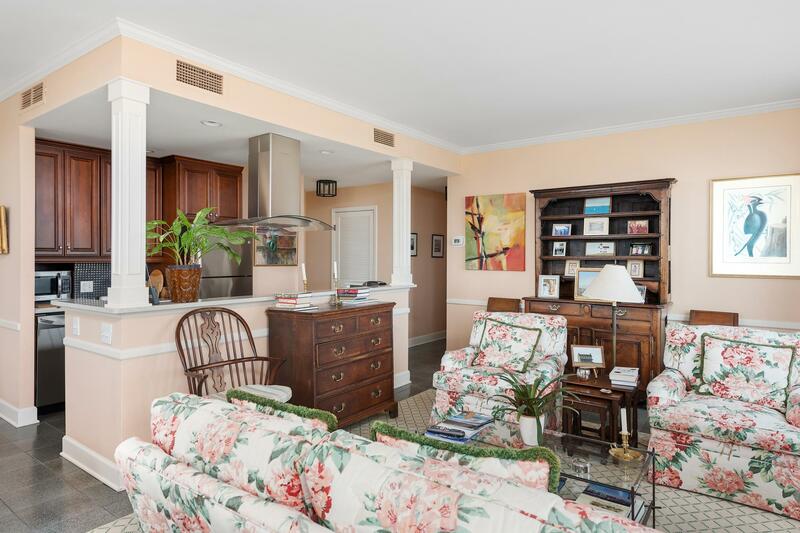 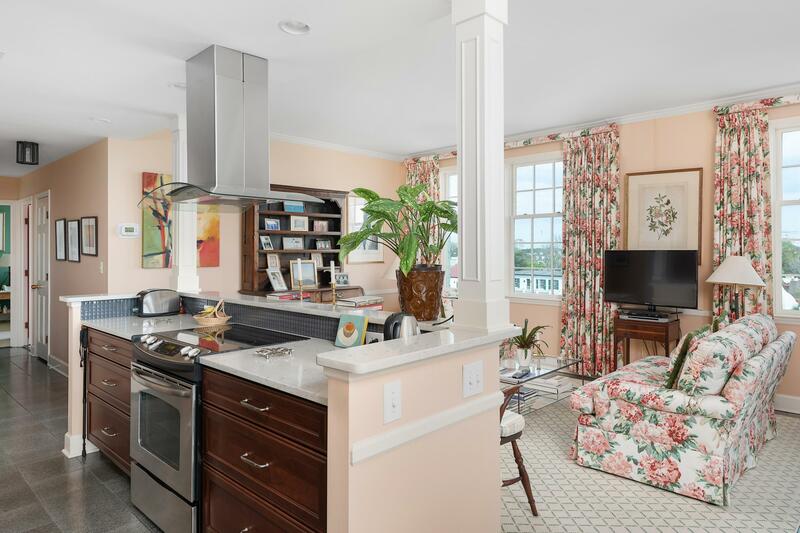 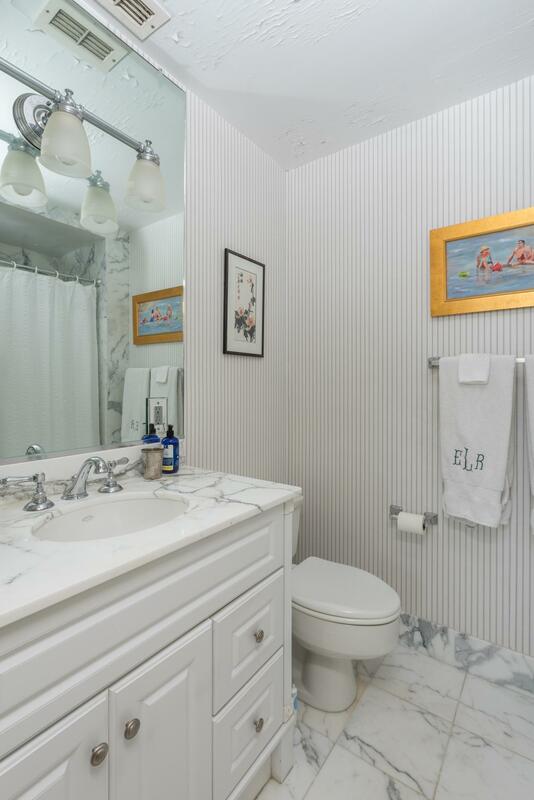 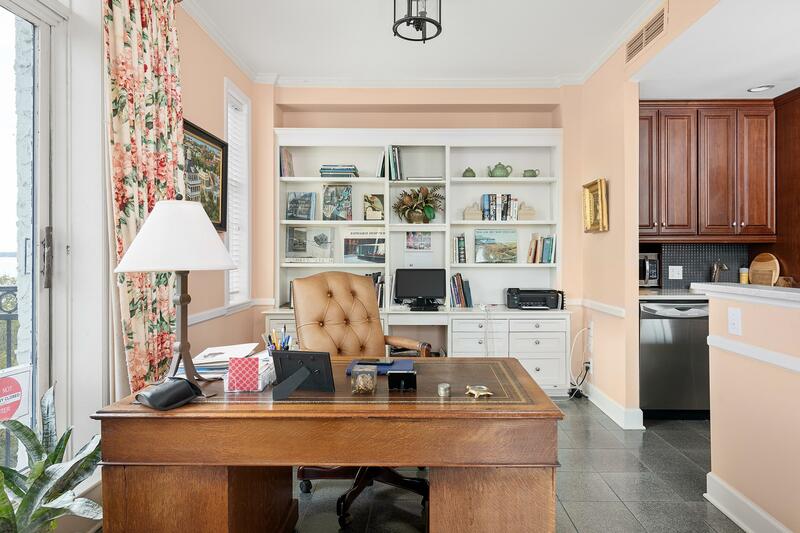 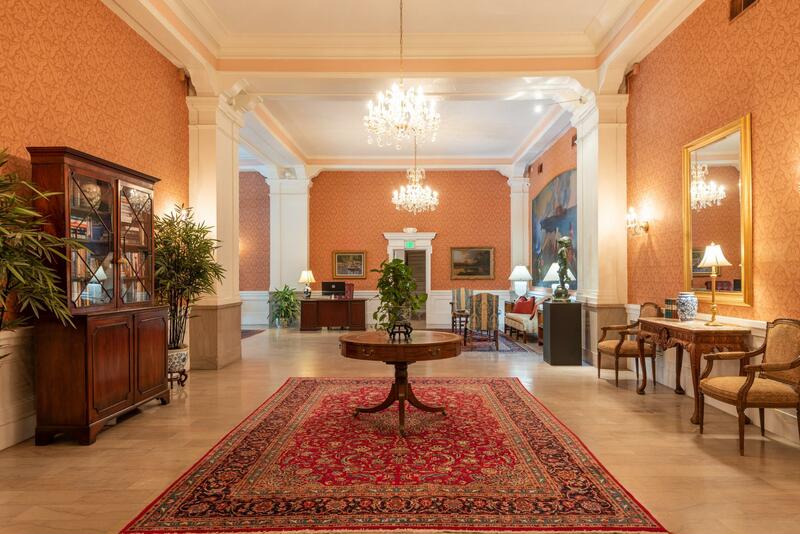 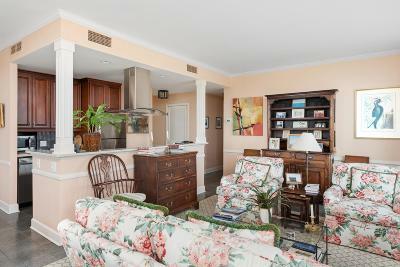 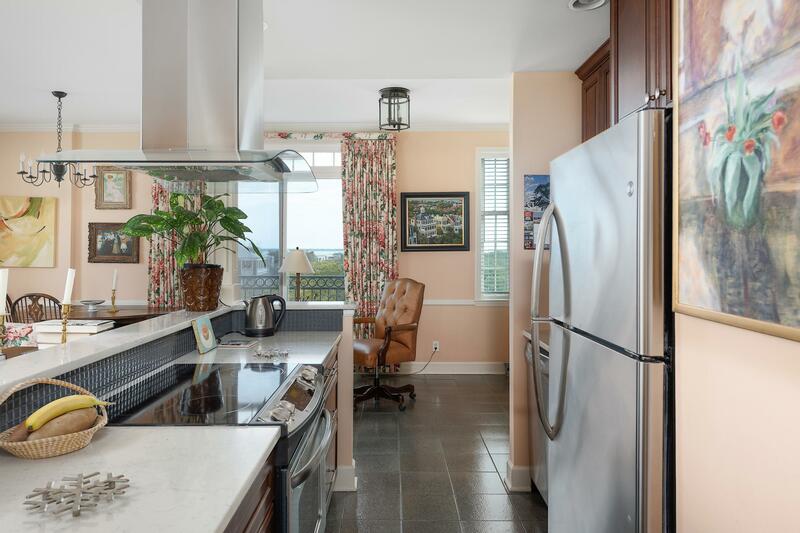 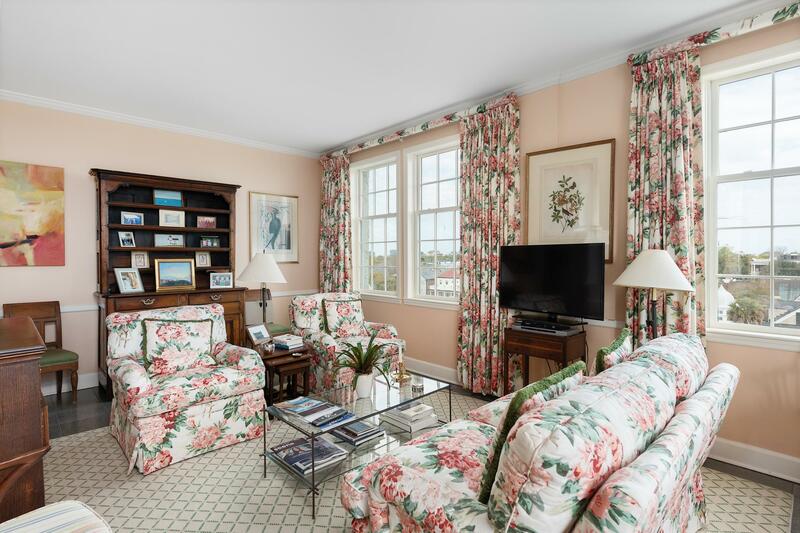 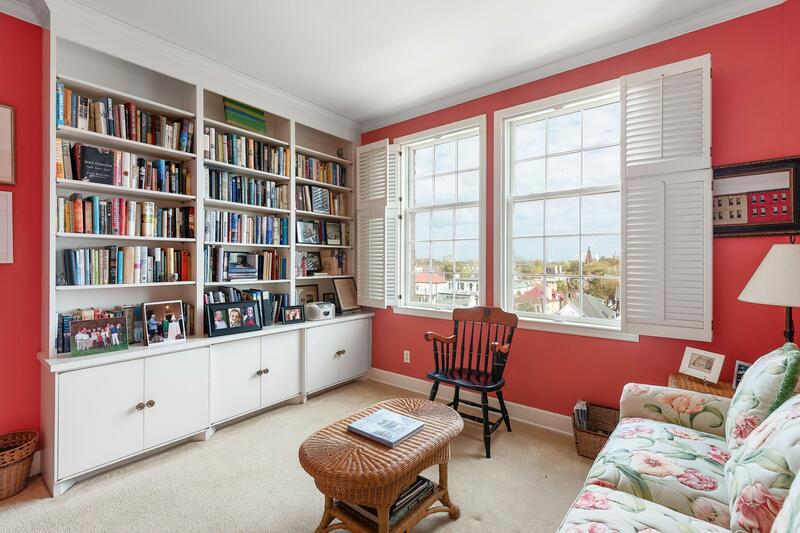 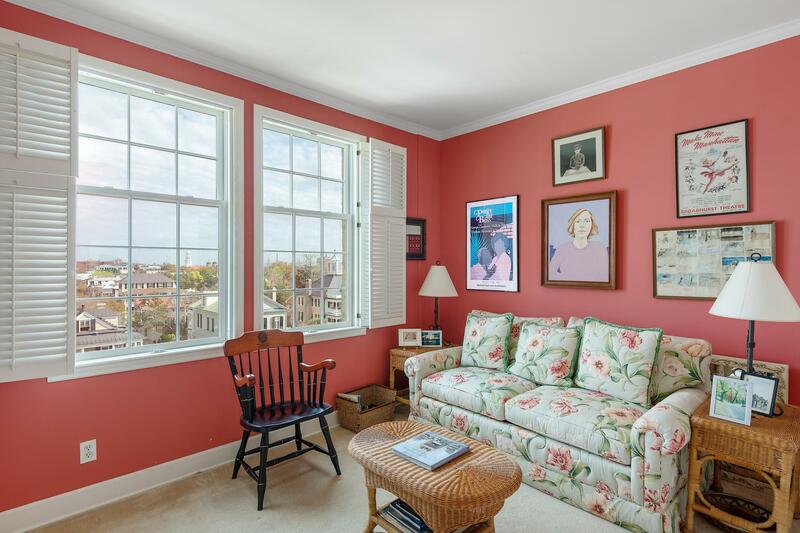 Lovely corner two bedroom unit on the fifth floor overlooking the harbor and downtown Charleston has most extraordinary views. 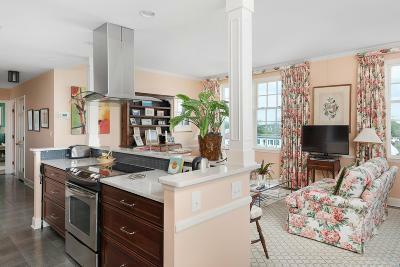 The kitchen has been opened up to create a wonderful living/dining area. The park (White Point Gardens) spreads out in front of this building which certainly has one of the best locations in the historic district.